So Battleborn Legacy wasn’t enough fantasy for you then? Then you need to heat things up a bit with a Dragon, Arcasam: Beat The Dragon to be precise. Arcasam appears to be a blend of resource management and high adventuring. You gather raw materials like iron, cloth, leather and food and then craft them into weapons and skills. You can then utilise these new found instruments of destruction to smack down various monsters and other players. Eventually when you feel up to the job, you can attempt to take out the dragon that’s threatening the land. To help you on your path you can grab the loot from fallen foes, level up your character and even pick up some companions in the Tavern. 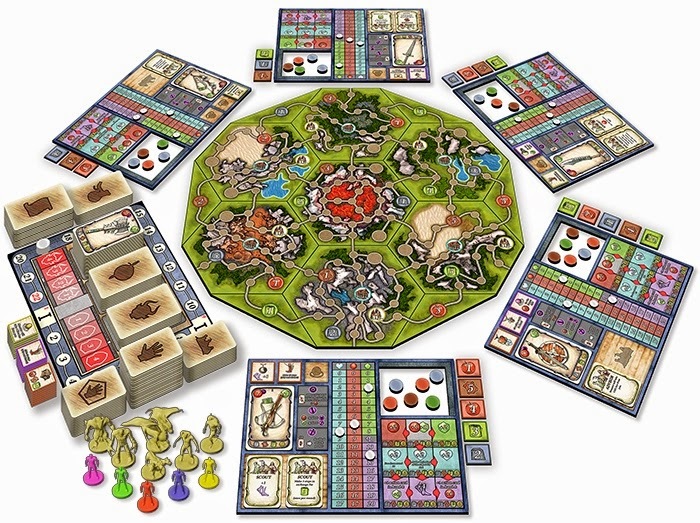 Even though the theme of the game looks more like Talisman than Agricola, dice and randomness appear to be at a minimum and Arcasam’s modular board not only allows for a variety of locations each game but means the game scales depending on the number of players. Arcasam: Beat The Dragon is on Kickstarter now.